The Board is delighted to announce the appointment of Paul McBride as Chief Executive Officer of Áiseanna Tacaíochta. Paul has over 20 years’ experience in senior management positions in both the commercial and not-for-profit sector. He is a qualified Chartered Accountant with exceptional financial, commercial and governance experience, and a proven track in effective organisational management. 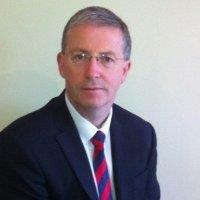 A graduate of NUIG and UCD Paul qualified as a chartered accountant whilst with PWC in Dublin. Following PWC he worked for many years in the food sector both in Ireland and the UK gaining extensive experience in all aspects of organisational management. In recent years Paul held the position of Chief Executive Officer with Cycle Against Suicide, an organisation focused on raising awareness of suicide and challenging stigma in the area of mental health. During his tenure with Cycle Against Suicide Paul led multiple teams and hundreds of volunteers towards meeting the goals of the organisation. He oversaw the growth and development of many awareness raising events, including the organisation’s annual signature event which involved up to 10,000 cyclists taking to the roads over a two week period; the growth of the annual schools’ congress to a 6,000 student event over a two day period. He also developed/secured several formal partnership arrangements with related agencies; and a new pilot programme in the area of sustained community engagement in the area of mental health awareness. Under Paul’s direction, ÁT is committed in continuing to deliver Martin’s vision of empowering people with disabilities to lead independent lives.